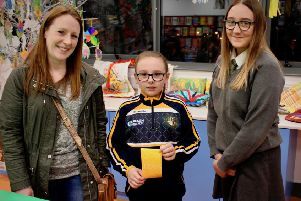 The recent Laurelhihll Community College Open Night the school was inundated with P6 and P7 pupils from local primary schools eager to explore the facilities and interact with the range of activities on offer. 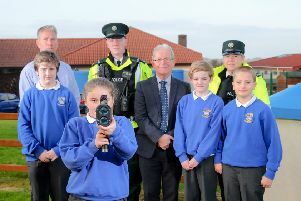 St Patrick’s Academy recently welcomed prospective pupils to the school. 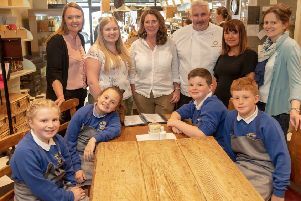 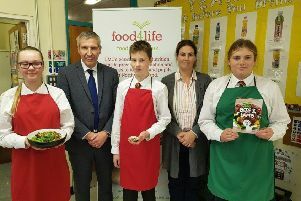 Students from Friends School were cooking up a storm recently when the Livestock and Meat Commission for Northern Ireland (LMC), which is based in Lisburn, launched its annual beef and lamb post-primary school cookery demonstrations. 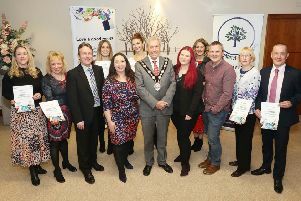 Blogging, vlogging and podcasting are ways to share stories and compelling content, and recently 12 Northern Ireland bloggers received certificates for completing a six-week course at Lisburn City Library. 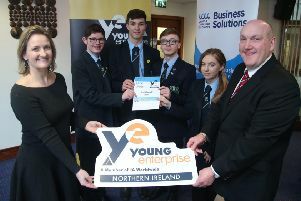 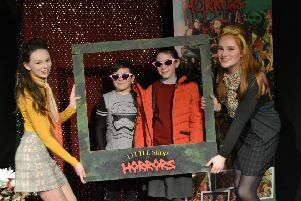 Fort Hill Integrated College was awarded ‘Overall Winner’ at the recent ‘Digital Youth’ final with their ‘GeAR Goggles’ which are innovative glasses with built in AR designed to assist tourists worldwide on their travels. 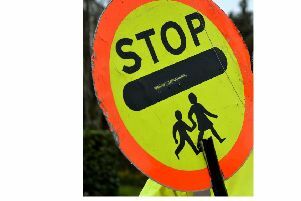 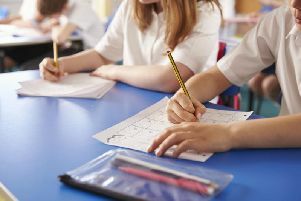 Drivers caught exceeding the 30mph limit outside McKinney Primary School, were faced with the tough choice of accepting a fine or facing a ‘Kids Court’. 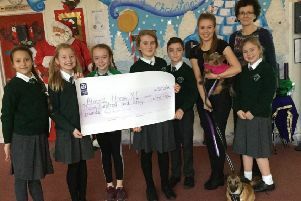 The pupils of St Aloysius Primary School have been busy fundraising and have raised a fantastic £350 for the Almost Home Animal Rescue charity, which is based in Moira. 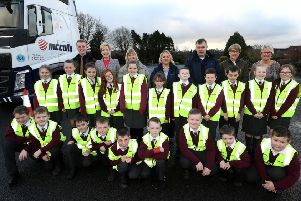 Local primary school pupils have learnt the importance of road safety thanks to a recent initiative by Lisburn & Castelreagh City Council and McCulla Transport. 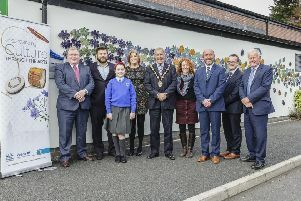 St Colman’s Primary School, Lambeg, recently worked with artist, Eleanor Wheeler, whose work can be viewed throughout the island of Ireland, to create a collage of ceramic oak leaves, the school’s symbol, each with its own individual style. 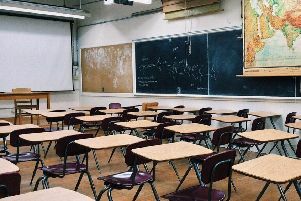 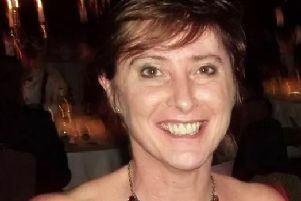 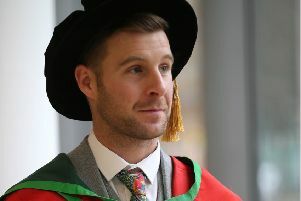 Staff, pupils and former pupils have paid tribute to a popular Northern Ireland school teacher who died suddenly this week. 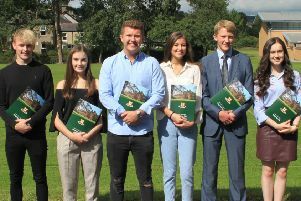 Pupils at Friends School Lisburn were praised for their hard work and determination at the recent Speech Day. 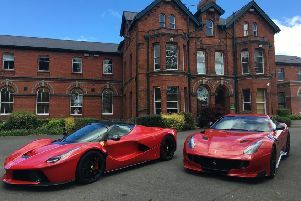 Motoring fans will be revving up for ‘Ferraris at Friends ­‐ A Day of Supercars and Super Cars’ on Saturday September 1 at Friends’ School Lisburn, for a rare opportunity to see some of the world’s most exclusive cars. 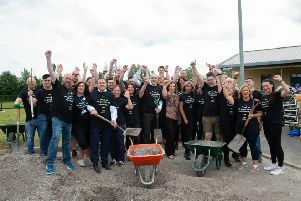 A team of volunteers from Marks and Spencer recently rolled up their sleeves and got to work making improvements to the garden at Brookfield Special School. 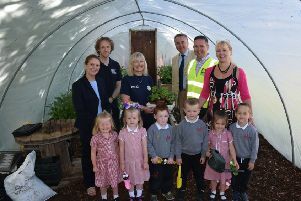 Lisburn & Castlereagh City Council was pleased to have the opportunity to support the recent Green Project at Fort Hill Integrated Primary School, which saw a new polytunnel built within the school grounds; and this green project was initiated by Tesco, Lisburn.